Samantha Harris Explains Sally Ladd Case — America’s Future Foundation which describes itself as “the premier network for liberty-minded young professional” will have a meeting 6:30 p.m., tonight, Sept. 18 at the Heritage Ballroom in Ridley to address Sally Ladd injustice. Samantha Harris and her family hired Sally Ladd to get tenants for their vacation home at Arrowhead Lake in the Poconos and were very happy with her performance. Unfortunately she did not have a real estate broker license. Getting one would have required 300 hours of approved instruction, pass two exams, and spend three years working as an apprentice under an already-licensed broker. Ms. Ladd was 61 years old. She said she was quitting her business rather than deal with burden. Mrs. Harris, who is vice president of policy research at Foundation for Individual Rights in Education, talked her into filing suit against the Pennsylvania Real Estate Commission and the Pennsylvania Department of State. They are seeking relief from the law—the Real Estate Licensing and Registration Act, 63 Pa. Cons. Stat. Ann. § 455.1. Heritage Ballroom is at 2107 MacDade Blvd. Homes, Pa. 19043. Bathroom Bills Back In Pa As SB 1306 And SB 1307 — Public outcry stopped pending Pennsylvania legislation that would open ladies rooms and girls sports teams to men but the termites in Harrisburg never sleep and new bills were quickly introduced to catch the sane occupants of the Keystone State off guard. Senate Bill 974 hasn’t moved since Sept. 15 and a resolution ending further consideration on HB 1510, was passed June 7 after this garbage crept into the public conscience. Sen. Browne, let this man in the girls room! So on June 10, SB 1306 and SB 1307 were introduced by Republican zealots that, like SB 974, would prohibit “sexual orientation, gender identity or expression” from discrimination in “public accommodations” like, well, public restrooms. And it would add “sexual orientation” and “gender identity or expression” to the protected classes making it difficult for businesses to fire or discipline those describing themselves as gay or transgendered or whatever. The prime sponsor of both bills is Sen. Pat Browne, a Republican who represents the 16th District which is in Lehigh County, and who is also the prime sponsor of SB 974. Brown is being strongly backed by former conservative hero Scott Wagner, a Republican who represents the 28th district which is York County. SB 1307 adds to the law the phrasing Public policies, reflecting an open and welcoming environment and ensuring equal opportunity, foster economic growth and prosperity which benefit the inhabitants of this Commonwealth. Conversely, the absence of nondiscrimination protections hinder efforts to recruit and retain the diversity of talented individuals and successful enterprises required for a thriving economy and strong public sector on which the inhabitants of this Commonwealth depend. Sen. Wagner, are you saying that if a guy wearing fishnet stockings comes to you asking to drive one of your trash trucks, there is policy that now prevents you from hiring him? 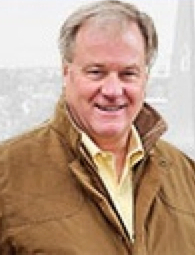 Sen. Wagner, let this man drive your trash truck! The only thing Senator that would now prevent you from hiring such a man is your own prejudices. Please don’t project them on to the rest of us. Protected classes do not foster economic growth and prosperity. They hurt economic growth and prosperity. The goal should not be to expand them but to eliminate them. This column is from a fed up and angry private sector business owner who also serves in the Pennsylvania State Senate. I will be diplomatic – but fully realize that I get to see firsthand each and every day how Harrisburg and Washington are out of control with regulations on businesses. It also seems like federal regulations coming out of Washington are being fired from a rocket launcher every single day. I made a decision to run for the Pennsylvania State Senate because I was sick and tired of new regulations being piled onto my businesses every year for the last 30 years. 2015 was a record setting year for new regulations – as of Dec. 31, 2015 there were 81,611 pages of federal government rules, proposed rules and notices – this number DOES NOT include regulations in Pennsylvania. At my waste company we have a MINIMUM of 60 State and Federal compliance requirements and regulations that we have to comply with either daily, weekly, monthly, quarterly, semi-annually or annually. In fact, last year my waste company hired a compliance manager to handle all of the reporting and paperwork. On May 3, the Wall St. Journal published “Ending America’s Slow Growth Tailspin”. The article says that, “The U.S Economy needs a dramatic legal and regulatory simplification” – in simple terms, over regulation is choking our economy and slowing economic growth. Steve Forbes’s words are powerful and very true – as a private sector business owner I know first-hand all about choking regulations. Last week I was informed by a manager at my waste company that our website must comply with ADA (Americans with Disabilities Act) Regulations. Our website will need to be accessible to anyone with a disability (that includes people who are blind or deaf). Blind people use equipment called “screen readers” and the screen readers need to be able to work with our website software. There have already been multiple lawsuits against companies who do not have websites that are ADA compliant. The newest and latest genius idea out of Washington DC is the third bathroom requirement for transgender people – it is all over the news. Also, Washington is enacting regulations on overtime pay for salaried employees – many businesses factor in some portion of overtime into salaries and also bonuses are paid to recognize outstanding performance and efforts. There are four types of regulations – Good Regulations, Bad Regulations, Stupid Regulations and Over Regulations. These are all regulations that effect a company that you may own or a company you may work for. I think everyone would agree that good regulations are needed. The other three are not needed. If we don’t stop all of this regulation madness – private sector businesses will have seen their best days. The irony of all of the regulations impacting businesses in America is that virtually all of the people who are behind these regulations have never owned a business, started a business, taken a risk, or signed the front of paychecks. The King of destroying businesses in America is Barack Obama – he is on a mission and he will not stop at anything. The best example is what President Obama and regulators have done to the coal industry in America. It is simple – too many regulations cost lots of money – lots of money that could and should go to creating jobs and providing good wages to current employees. Businesses are being choked with rules and regulations – when are politicians and bureaucrats going to wake up and realize that they are killing jobs in America? Progressives have ruled Venezuela since 1998 turning the once oil-rich nation into a crime-ridden basket case. Bridges are collapsing, power outages are chronic, as are food shortages, and despite — well, because — of its draconian gun restrictions it has one of the highest murder rates in the world. Perhaps, however, the biggest indication of its leftist descent into the Third World is that it has run out of T-P. That’s right, no more toilet paper, albeit we can be confident that the government-connected and their girlfriends still have access to this valuable commodity. Hey all you Democrat voters and other assorted Obama-zombies — tell yourself that It Can’t Happen Here. The Food and Drug Administration, Dec. 17, proposed a new rule requiring that makers of antibacterial soap submit data backing up claims that “demonstrate a clinical benefit” from the use of their products compared to non-antibacterial soap. The companies have until June 14 to comment on the proposed rule. The FDA has given the green light to these products since 1994. Antibacterial soaps generally use triclosan and triclocarban — chlorinated hydrocarbons that can kill many bacteria and some fungi, notes Popular Mechanics. Three-quarters of national-brand liquid soaps and about one-third of bar soaps contain them, according to a 2001 study. These chemicals inhibit bacteria from generating the lipids to build cell walls. Regular soap, on the other hand, breaks adherence bacteria has to the skin and is merely washed down the drain rather than killed. It is suspected that the latter is every bit as effective as the former and the antibacterial stuff may have some hidden dangers as it has been found to cause alterations in thyroid, reproductive, growth, and developmental systems of neonatal and adolescent animals. The FDA is careful to say that these things have yet to be seen in people. FDA officials did not mention whether they had seen the tweet from the Obama administration promoting discussion of its health insurance plan. Jobs would be less endangered at places like Delta Airline’s Trainer Refinery with saner EPA regulations. 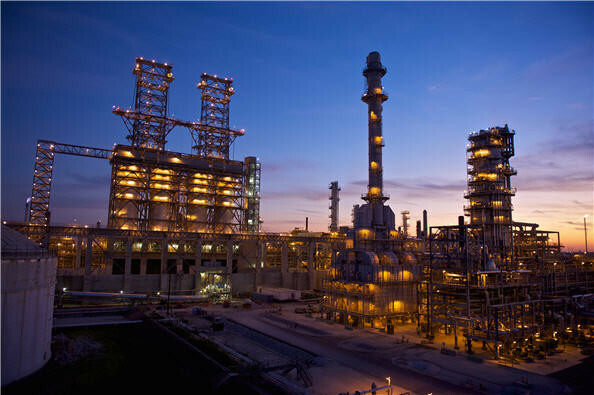 Sen. Pat Toomey (R-Pa.) is calling on the Environmental Protection Agency (EPA) to lessen the renewable fuel standard (RFS) that refiners must meet when manufacturing gasoline – and to do so in a timely manner. According to federal law, every November, the EPA must announce a sensible RFS mandate for the upcoming calendar year. Toomey said that the EPA’s failure to follow the law last year put many good-paying jobs in Southeast Pennsylvania in jeopardy. 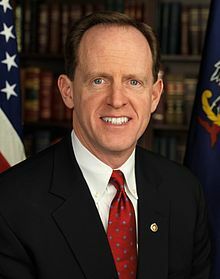 Toomey supports repealing the RFS and has co-authored a bipartisan bill and offered an amendment in efforts to eliminate the costly mandate. Ethanol Mandates Must End Say Workers — Sen Pat Toomey (R-Pa.) and Congressman Pat Meehan (R-Pa7) met with employees at Monroe Energy’s Trainer refinery in Delaware County to hear their that ethanol mandates must end. The government’s Renewable Fuel Standard mandate requires fuel suppliers like those in Trainer and Philadelphia to blend millions of gallons of biofuels – notably corn ethanol – into the nation’s gasoline supplies. “This corporate welfare for the ethanol industry harms the viability of good paying jobs, drives up gas prices, increases food costs, and harms the environment,” Toomey said. Toomey is a co-sponsor of the Renewable Fuel Standard Repeal Act (S. 1195) that would end such mandates. Local Pubs Help Stop Pro-Environmental Law — An attempt to de-fang the anti-environmental Davis-Bacon Act was defeated, June 5, after 36 Republicans joined all Democrats to vote down an amendment to the Military Construction/Veterans Affairs appropriators bill to bar the use of its funds to enforce the Davis-Bacon prevailing wage requirements. The Davis Bacon Act is a 1931 federal law that mandates paying the local prevailing wages on public works projects over $2,000. The law inflates the costs of such products by an estimated 15 percent, according to the U.S. Chamber of Commerce. This means there is less money to repair bridges, fix roadways and resolve polluting traffic snarls that waste gas and clog our atmosphere. Just consider that the historic Rose Tree Tavern in Upper Providence was moved back from the intersection of Route 252 and Rose Tree Road in 2004. When is PennDOT going to put in the desperately needed turn lanes? Wouldn’t it be nice if we didn’t have to wait until 2017 for an interchange between I-95 and the Pennsylvania Turnpike? In fact, with less money needed for construction projects maybe we could get rid of the turnpike tolls ending the smog producing toll lanes. Davis-Bacon is a significant part of the reason for our declining infrastructure. Here are, courtesy of Bob Guzzardi, the Pennsylvania Republicans that voted against the amendment: Jim Gerlach (PA-6), Pat Meehan (PA-7), Mike Fitzpatrick (PA-8), Bill Shuster (PA-9), Lou Barletta (PA-11) and Tim Murphy, (PA-18). Guzzardi also notes the last year’s vice presidential GOP nominee Paul Ryan of Wisconsin also opposed the amendment. And this is why things don’t get better. Ex-Californians Like Texas — In the last five years, 150,000 Californians have moved to Texas. Of course, a lot more Mexicans than that have moved to California some wag might note. Still, Texas has gained 400,000 jobs while California has lost 640,000, and the Lone Star State was responsible for 47 percent of national job growth. By the way, Louisiana, which despite having had a conservative reputation was in the Democratic pocket at the state-level until Katrina, has since the hurricane and the ensuing fiscal conservative Republican — note the fiscal conservative part, Gov. Corbett — takeover has dropped from 47th to 13th in the Chief Executive rankings as to best states in which to do business.